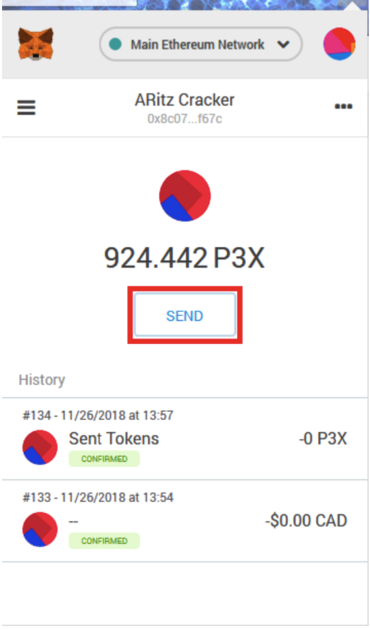 Important: Do not send P3D to the P3X contract or vice versa. Doing so will result in a loss of funds. So what is the Purpose of P3X then? How Do I Buy and Sell P3X? What is the P3X address? 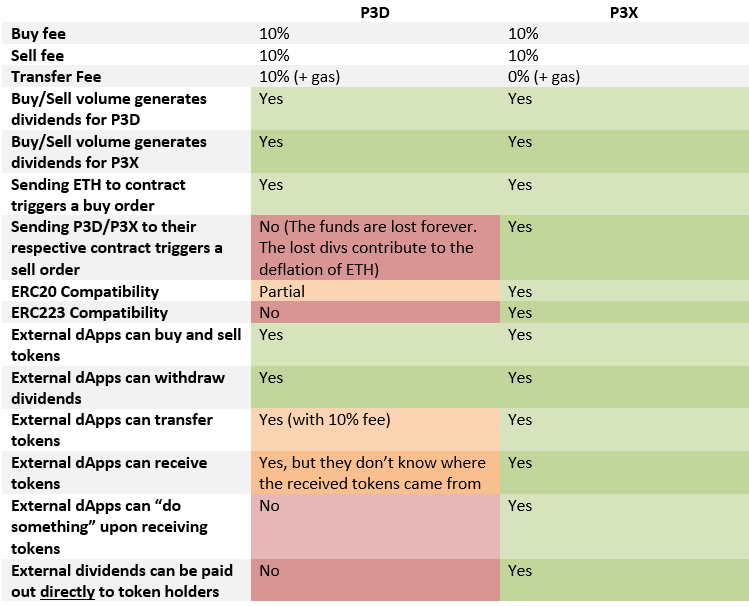 Can I exchange P3D for P3X directly? Is there any disadvantage in buying P3X instead of P3D? So should I buy P3X instead of P3D in future? Will P3X adversely affect P3D? I'm a P3D holder. Do I need to buy P3X to get masternode bonuses for shilling it? 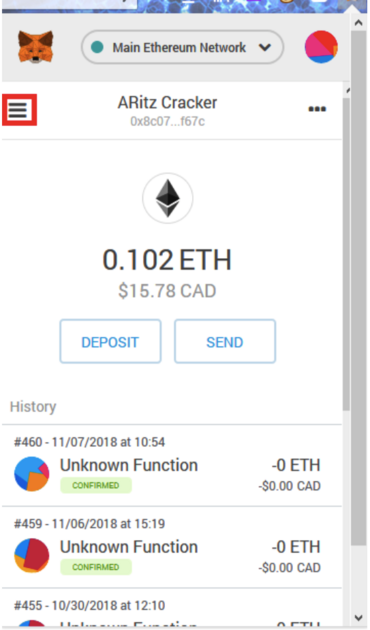 Proof of Weak Hands 3D: Extended (P3X or P3DX) is a fully ERC20 and ERC223 compliant token which works as an extension to the P3D token. 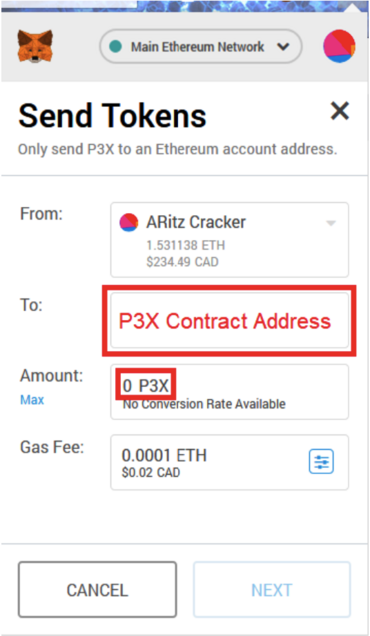 When you buy P3X, the P3X contract purchases P3D and gives you that exact same number of P3X. P3X is “tethered” to P3D such that 1P3X will always = 1P3D. When P3D generates dividends, P3X holders receive the same dividends too. In effect, owning P3X is the same as owning P3D! 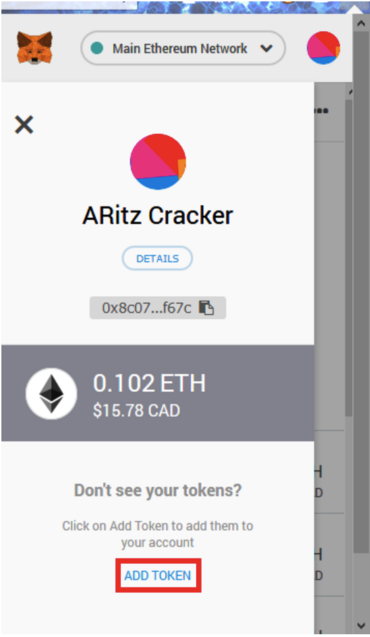 Fees are distributed to token holders as Ether. P3X masternodes are enabled once an account balance has 25 P3X or more. This will enable 1/3 of the buy in fee to go straight to the referrer, the same way it does for P3D. There are a few key differences between P3D and P3X. 1. P3X has a 0% transfer fee which means that it can be traded on exchanges and used as currency for dapps in the 3D ecosystem. 2. 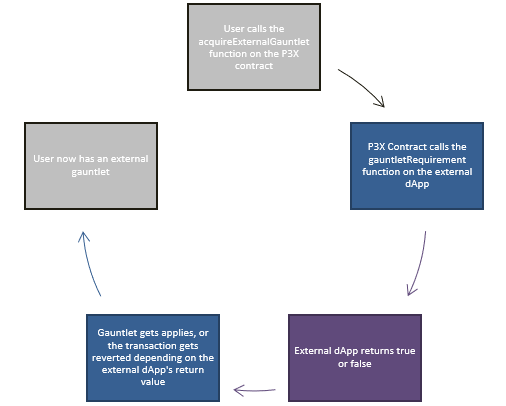 Unlike P3D, P3X is ERC20 and ERC223 compatible, which allows for external contracts to be notified when they receive funds and also to know where the received funds came from. 3. P3X has a 'donate dividends” function which replaces “The Button”. 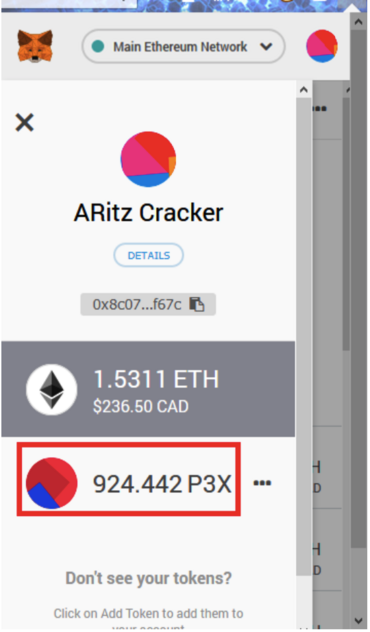 This means 3rd party dapps are able to give dividends directly to P3X holders. 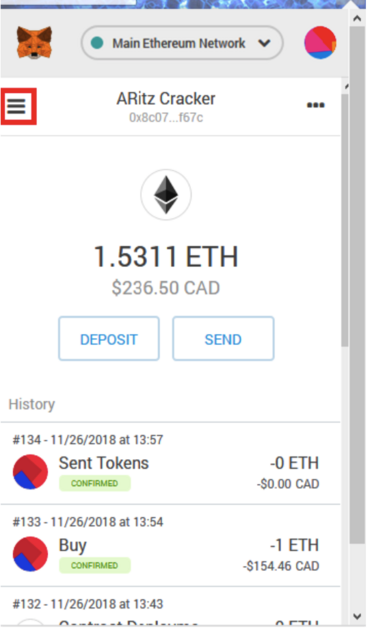 (P3D holders do not receive these dividends). 4. Gauntlet Mode (optional). This is a function that grants you iron hands by allowing you to voluntarily set a minimum account balance before any sells or transfers are allowed. That limit will then be lifted either: after a specified amount of time elapses, or when the P3D supply reaches a specified amount, or whenever an external contract allows it. The choice of when is completely up to you. To use an analogy, you can think of P3D as your cash and P3X as your debit card. They have the same value, but P3X allows for greater functionality. When P3D generates dividends, P3X holders get those dividends, too! 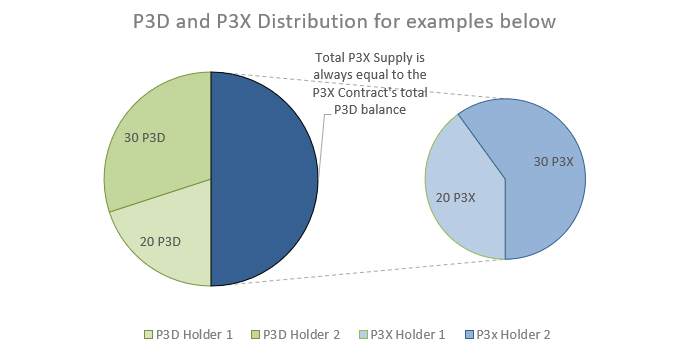 As shown above, P3X holders get the same number of dividends per token as P3D holders! 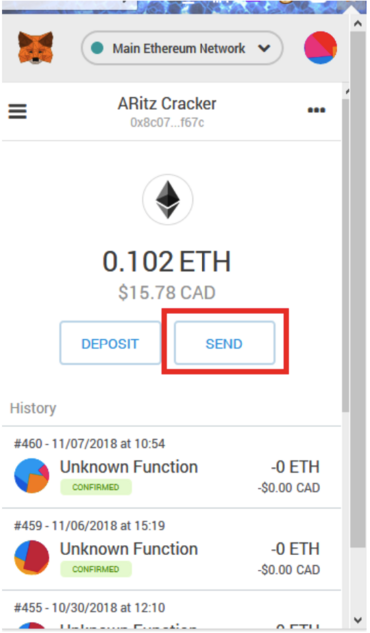 When the “donate dividends” function is used, the ETH sent to that function will get to distributed to P3X holder only. P3D holders do not get those dividends. The external gauntlet mode would then be released when the external dapp’s “gauntletRemovable” function returns true. This enables dapps to use this mode in creative ways in the future. A 1st party website will not be provided when the contract goes live on the main Ethereum network. However, the contract has been made to not require a website in order to place buy or sell orders. Please note, these instructions are applicable to the current updated MetaMask. Then after that, add P3X as one of your tokens. 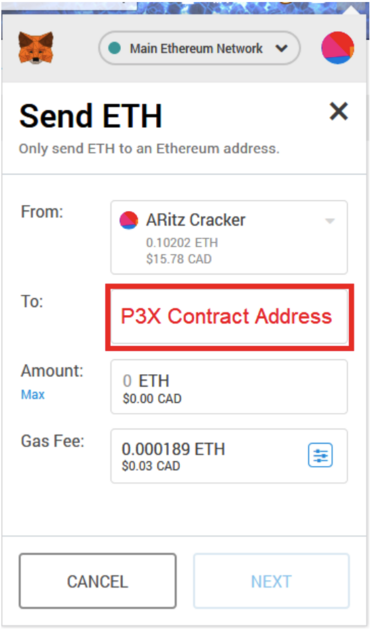 To withdraw your P3X dividends, send 0 P3X to the P3X contract. And to place a sell order, simply send more than 0 P3X. NO! 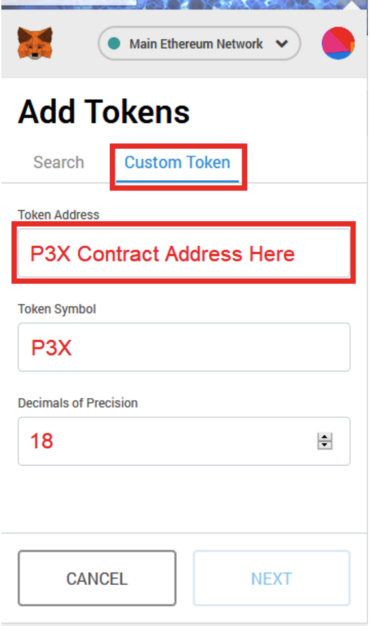 Sending P3D to the P3X contract or vice versa will result in a loss of funds. No. P3X has been created in order to enhance P3D. As said before, you should not sell P3D to get P3X. However, you might want to use your P3D dividends to buy P3X. Buying P3X is exactly the same as increasing your P3D stack. But it also means you will be able to transfer tokens with 0% fee, and you will be connected to any 3rd party dApps that choose to build on top of P3X. It's impossible for P3X to have a negative effect on the value of P3D, as P3X's price is always the same as P3D's. Nope! If the referrer doesn't have a valid P3X masternode, but has a valid P3D masternode, then the P3D masternode will be used. This means that P3D holders who already have a masternode can shill P3X at no additional cost! **More FAQs to be added, please contact ARitz Cracker or a staff member if you have any questions.